Home » Blog » SQL-Injection – "ASCII Encoded/Binary String Automated SQL Injection Attack"
SQL-Injection – "ASCII Encoded/Binary String Automated SQL Injection Attack"
SQL injection is a technique that exploits a security vulnerability occurring in the database layer of an application. The vulnerability is present when user input is either incorrectly filtered for string literal escape characters embedded in SQL statements or user input is not strongly typed and thereby unexpectedly executed. It is in fact an instance of a more general class of vulnerabilities that can occur whenever one programming or scripting language is embedded inside another. There seems to be a new wave of sql injections ending with ngg.js, it’s a kind of script that will run maybe to harm your pc recently? Research, as well as Google’s Cache, indicates that there is a significant number of websites that are still vulnerable to SQL Injection attacks. Despite the fact that input filtering techniques and other protective measures are widely known, it is understandable why this is still the case. Regardless of their underlying technology, it often would be almost impractical to review out dated and/or poorly written websites and eliminate all vulnerabilities in their code bases. Such websites typically use the dynamic construction of ad-hoc SQL queries at run-time quite extensively. Even if a given website is less vulnerable, unintentionally missing even a single security hole could be sufficient to permit a successful SQL Injection attack. Such holes can be easily found during the “study” phase of the site (for example, by crawling the site in question and looking for vulnerable web pages). Regardless of the complexity and costs involved, a publisher has a responsibility to shield his website from the risk of infection and becoming a virus distributing agent. Publishers of any size must protect their sites’ visitors from exposure to malicious scripts at all times. The botnet behind this attack, called ASProx, was previously associated with Phishing attacks, and is now indirectly pushing malware through websites that are vulnerable to SQL Injection. The attackers have designed the Asprox botnet to conduct, with the help of Google search engine, an initial research for web pages utilizing ASP (.asp), ASP.NET (.aspx), and PHP (.php) web technologies. 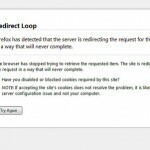 The ASProx botnet also utilizes a DNS Fast-Fluxing technique to hide the actual malware delivery sites behind an ever-changing network of compromised hosts acting as proxies. The botnet’s infrastructure grows steadily, and our own attack sample indicates it exceeds 24,200 distinct and recurring IP addresses to date. Analyzing the pattern above, it is quite obvious this attack is carefully crafted and fully managed. New malware domains are introduced daily, while others are excluded, probably based on declining success metrics as anti-virus and related software and hardware vendors are updating their databases and blacklisting newly detected domains. Or you may follow my own way to replace the single quote syntax which is the cause of the SQL-Injection by just calling this valid_sql function across all your program. 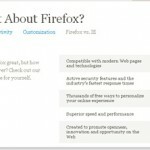 You may save it into a file and then use include function to include the file which can be accessible by all the pages. 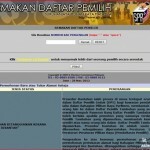 Check Your Voter Status – Semakan Daftar Pemilih Suruhanjaya Pilihan Raya Malaysia (SPR) – Register Today! 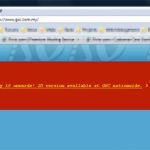 Old Town White Coffee Website Hacked? I thought this was omre of a case of Cross Site Scripting and not SQL injection based on the usage of .js file. hi sam, thank you for your comment but pls read carefully before commenting and refer to the source pls. and don’t know who malukan sendiri. it’s automated sql injection and it inject the script. go to the site and find out more and you could google about it too.